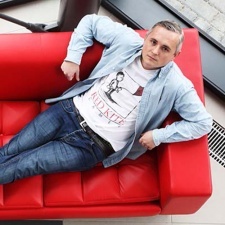 Sheffield based games firm Sumo Digital has announced the acquisition of work-for-hire specialist Red Kite Games. The studio was picked up for a total of £2 million and marks the third purchase that Sumo has made since going public at the end of 2017. Red Kite Games joins CCP Newcastle and The Chinese Room, which the Sheffield firm bought in January and August 2018 respectively. Red Kite will continue to exist under its own brand, but is now a wholly-owned subsidiary of Sumo Digital. That company is working on a number of games, including Crackdown 3 for Microsoft and Deep Silver's Dead Island 2. The former was slated to launch in 2016 but has seemingly been beset with issues, with the other companies working on the game dropping away leaving only Sumo. Meanwhile, Deep Silver announced in 2016 that Sumo Digital was handling development of Dead Island 2; that was the last we heard about the project. “Red Kite is an established brand with talented people, providing engineering and code support services to some of the biggest names in the industry," Sumo CEO Carl Cavers said.